And most important that she was me, if you hadn’t already guessed. 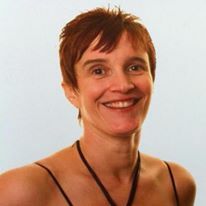 Becky Wells worked in the fitness industry for many years and specialised in treating people referred by GPs and others with exercise. She became fascinated by the large number of referrals that seemed to have psychological origins and decided to train as a Hypnotherapist. Becky is now a qualified Hypnotherapist with practices in Sussex and Surrey and she welcomes clients to her unique world of therapies. She is also a Sports Therapist and REPs Level 4 Personal Trainer. Becky’s personal interests include Kung Fu, walking, all kinds of adrenaline sports and travelling. She also writes for various publications in her spare time. As well as being involved with various charity fundraising events including Pay it Forward UK. Associate Trainer, UK Hypnosis Academy; Kinetic Shift Practitioner and Trainer, Mike Mandel Mindscaping Practitioner, OldPain2Go Practitioner, Diploma in Hypnotherapy, Member of the General Hypnotherapy Council, Mindfulness Instructor, Diploma in Fitness Training and Sports Therapy, Diploma in Sports Psychology, Register of Exercise Professionals Level 4 Instructor.